August « 2014 « How Do You Measure 525600 Minutes? Facebook Messenger: Are You Being Watched? What’s the Hype? August 9, 2014 7:53 AM / 1 Comment on Facebook Messenger: Are You Being Watched? What’s the Hype? There’s been a lot of talk and concern over the past week about the new User Agreement for the Facebook Messenger app that some feel they are being forced to use. How much of it is actually hype? Let’s cut to the chase: Are you being watched? The answer is YES! If you use a computer, cell phone (it doesn’t have to be a smartphone! ), book reader (such as a Kindle) or other communication device– Your every move is being tracked. Who you talk to, text, where you are located, websites you visit, what you buy online… all of it is being tracked and is stored on computers somewhere. Law enforcement is increasingly using such tracking to assist in solving crimes. So what’s the big deal about the permissions required by the Facebook Messenger app? Well maybe, if nothing else, it’s a reality check for so many of us that use technology with blind faith. Most of us don’t read user agreements and some would be quite surprised at the permissions thy are giving devices and apps. Doing so, doesn’t mean that any normal privacy issues will be violated but the possibility of a breach is real and should be taken into consideration. Agreeing to and installing Facebook Messenger does not mean your every move is going to be recorded and broadcast from your phone. You have to agree to certain provisions just so you can use the technology. If you want the ability to share pictures and contact people then you have to give the app the permission to share those pics (on your behalf) and make those connections. It doesn’t mean a third party is spying on you. But is it possible? Sure it is. Unlikely, but possible. To better understand this issue, I highly recommend you reading the article on the www.snopes.com website. As opposed to me rehashing all the concerns here, you can view them in a well thought out outline on the site. It gives you a balanced look at the concerns, the reality and the possible consequences of using the Facebook Messenger app. More important, it points out the fact that most of us have given far greater permissions through use of our apps and devices than those being requested here. I polled friends on Facebook to see how many were using or deleting the FM phone app and the results were split. Twenty-eight people responded and more than half said they would continue to use the app, though some felt forced to use it and some had concerns over the privacy issues they were taking. Some said they would only use the online messenger built into the Facebook site and others were deleting the app because they felt too exposed. If anyone is truly concerned about what is being unintentionally shared, a bigger concern should be your browser and email provider. Registered Google users should know by now that the websites you visit, your email, your contacts and personal information are all scanned and searched for keywords and then recommendations made, advertising targeted and information shared without your intentional permission. In some cases, the only way to avoid these invasions are to avoid particularly aggressive developers as much as possible. Free isn’t free. Google survives on selling your information and on referrals it makes based on your account. Your free email account, for them, is a marketer’s dream. We all have, or should have privacy concerns, especially regarding our personal and financial information. Identity theft and the security of our financial information should be our top priority. This is not in question here. What we have to keep in mind, especially regarding social networking, email and messaging, is that there are legitimate risks to take into consideration. If you don’t want to share your life as an open book, you really need to actively investigate what you post and share and check any ability you have to limit who views it. Anything you share electronically, even in private conversation, is subject to be shared beyond your control. I’m not even referring to being hacked or having your information used by the app or device developer. The person you are communicating with, could, without your permission, share your pictures, comments or information with someone else. For instance, a private comment you make to a friend about another person electronically, could be shared by the recipient,with that person, without your permission. Think before you post. If you don’t want your employer to know what you are doing when you are away from work… don’t post it publicly online. It’s that simple. I’ve caught many people in half-truths by looking at their online activities. I’m constantly amazed by some of the things I’ve seen people post, not imagining that there could be a controversy or some unintentional fallout. Your online persona does matter. There are privacy settings with many apps and devices that can limit who can actually see what you post— BUT you can’t prevent the recipient (friends) from sharing with a third party. As technology advances and we take advantage of our connectivity, our lives become more and more transparent. If, for what ever reason you need, or want, to maintain a high level of privacy– avoid all forms of social networking. Know the risks, be informed and make the decisions that are best for you. 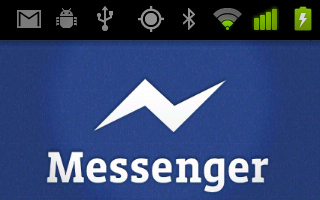 Is there some big conspiracy by Facebook to use their messenger app for covert activity? Very doubtful– but you can never be too careful. The bottom line is that Facebook Messenger is as safe to use as most every other app you are already using. I’ve been using it for quite some time now and have yet to experience any drawbacks or bad experiences with it. As Facebook becomes more and more about advertising dollars and less about connecting with friends, it makes messenger more valuable as a connecting tool than the Facebook site (or app) itself. But just wait, soon enough you’ll be marketed to on messenger as well.